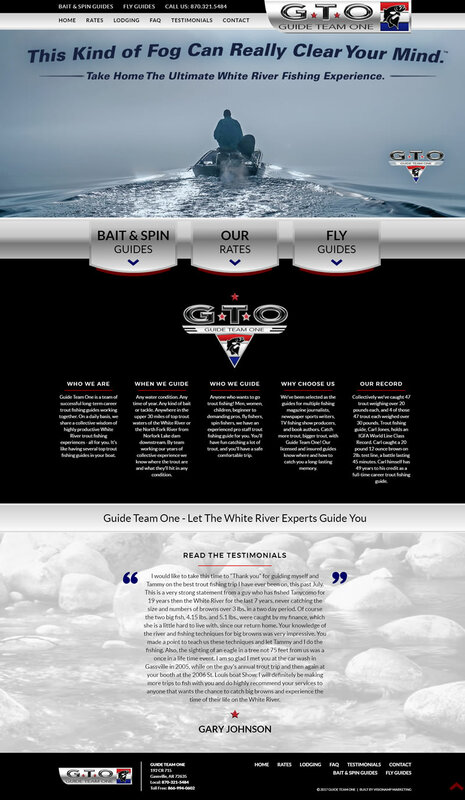 We worked with Guide Team One, a crew of top trout fishing guides, to create a responsive, mobile-friendly website. In addition to the responsive website rebuild, we also worked with the team to create a new brand and a new color scheme to go along with their Guide Team One branding. Guide Team One is a team of successful long-term career trout fishing guides working together. On a daily basis, they share a collective wisdom of highly productive White River trout fishing experiences - all for their clients. It’s like having several top trout fishing guides in your boat.